If you are an owner of Synology 12-series NASes and its previous models, you are eligible for a 15% discount on the new DS218+, DS718+ or DS918+. In case you are looking at the DS918+, I have reviewed it four months ago. After the 15% discount, the DS218+ will cost S$390, DS718+ will cost S$519, and the DS918+ will cost S$645. There is no trading in. You get to keep your existing Synology NAS. They verify whether you are an owner of an existing Synology NAS using your Synology account and product serial number. 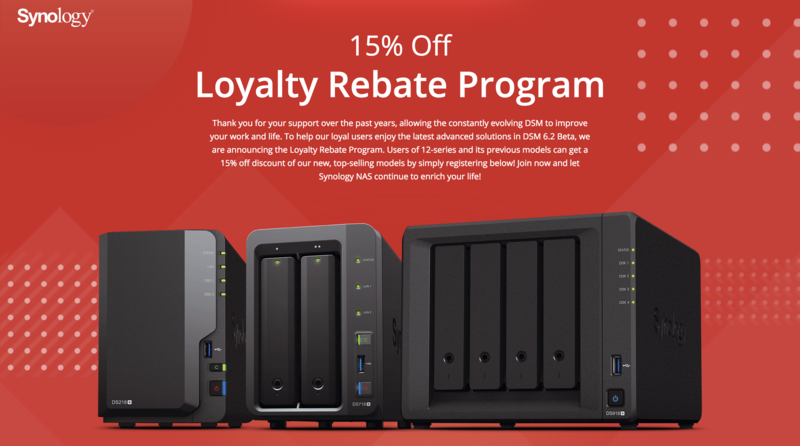 For more information, head down to the official Synology Loyalty Rebate Program website. PS: The official site also features my review of the DS918+. This page is generated on 18th April 2019, 10:17:26 (UTC) in 0.173s with 16 queries using 4.0 MiB of memory.